However, once I left China airspace I was successfully able to connect to the Internet using my Mileage Plus credentials. After I logged in, I see the cost to buy Internet services for the entire flight ($17) or by the hour which I believe was $4.99 per hour. 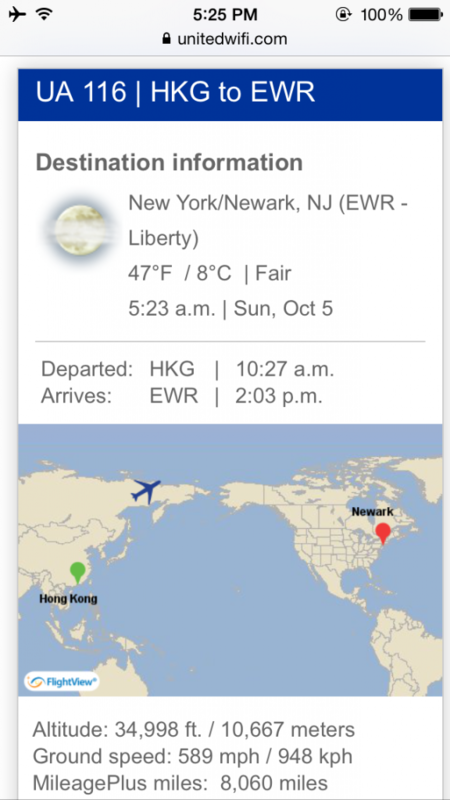 The HKG to EWR flight was about 16 hours. I was able to get service 4 hours after takeoff which leaves me 12 hours of flight time for around $20. I didn’t have to urge to check email and opted to sleep. 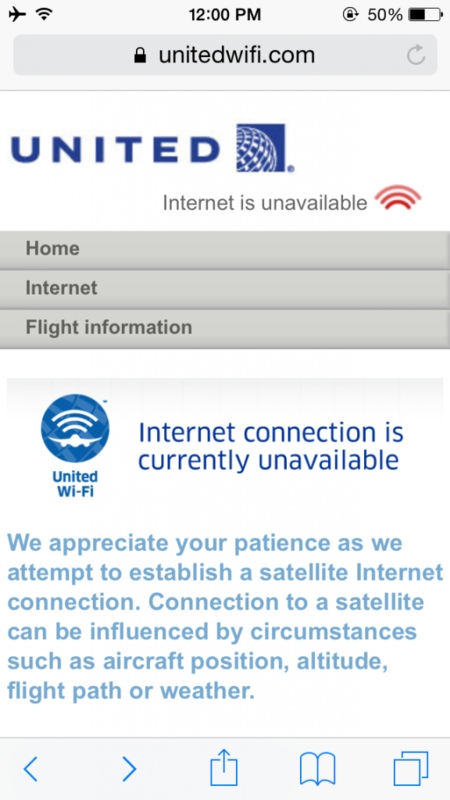 I believe United’s international WiFi is an awesome offering for those who need to stay connected with work while on a long haul flight. The $20 for 12 hours seems to be a fair price as well. However don’t expect to have broadband service as dial-up or 2G speed is probably more likely the norm.